What’s this? It’s Miss Mindy’s Jack Skellington depicted in hauntingly stunning detail! 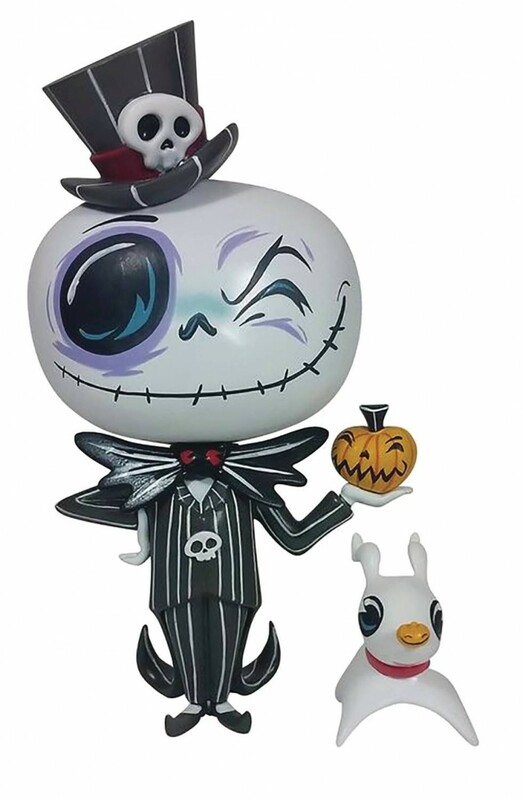 Wearing a striped top hat and suit, The 7” Pumpkin King holds a jack-o’-lantern as he rules over Halloween Town alongside a cute mini of his ghost dog, Zero. This unique tripod design with vibrant color details comes beautifully packaged in branded color window box suitable for display. Zero accessory figure comes in box for added value.